A three bedroom semi detached house situated in West Bletchley, with a garage and off road parking for two cars. 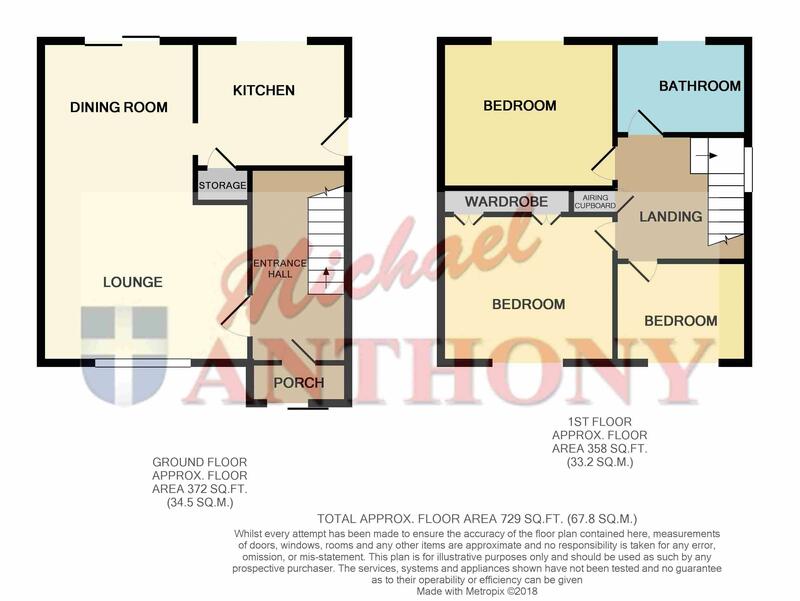 The property offers lounge, dining room, kitchen, family bathroom and front & rear gardens. Stairs rising to first floor, radiator, doors to lounge and dining room. Double glazed window to front aspect, gas fireplace, television point. Double glazed sliding door to rear aspect, radiator, through to kitchen. Double glazed window to rear aspect, a range of storage cupboards at base and eye level, work surface areas, wall mounted boiler, stainless steel one and a half bowl and drainer with mixer tap over, splash back tiling, space for a fridge freezer, door to garden. Double glazed window to side aspect, access to loft void, airing cupboard, doors to bedrooms and bathroom. Double glazed window to front aspect, radiator, built in wardrobe. Obscure double glazed window to rear aspect, a three piece suite comprising a bath with mixer tap over, low level w.c., pedestal wash hand basin, splash back tiling, radiator. Driveway parking for two cars, leading to garage with metal up and over door, power and lighting, courtesy door to rear garden. Gated side access, laid to lawn, flower and shrub borders. Enclosed by timber fence panelling, outside light and tap, gated side access, laid to lawn, patio area, courtesy door to garage.